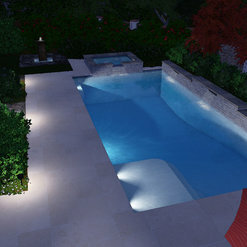 We have won over 50 National and International Design and Build awards through our swimming pool industry. 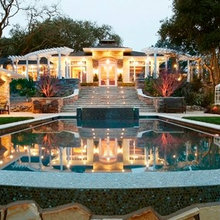 Our company has been selected as one of the top 50 swimming pool builders in the USA from '93-'97. We are proud members of the Carecraft Pool Professional Group. He installed a wonderful pool for us, and we've been loving splashing around in it all summer! I highly recommend his work to anyone who's looking for a beautiful pool. to have such personal service from an industry leader made for a great experience and an even better final product. I worked closely with Chuck through out the design and construction process and continue to consult with him years after completion. I could not be happier with my pool! Chuck is truly as good as it gets. He is the epitome of what it means to be a professional, and that is something you don't often find in his business. To say he exceeded my lofty expectations is an understatement. Beyond their extensive expertise, Chuck and his team are honest, responsive, more-than-fair, detail-oriented, on-time, clean, organized, and a complete joy to work with. They take a lot of pride in their work, which is always good for the customer. As I told Chuck during the project, I wish I could hire him for all my needs because you just don't find partners like him in any service capacity these days. 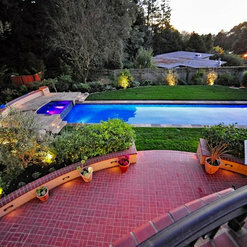 Chuck Baumann and his team at Creative Environments built an absolutely beautiful pool at our home in Piedmont. Chuck navigated our city's challenging permitting process with ease. His decades of experience in the industry were obvious from start to finish. He worked closely with us during each step of the process. His insight, professionalism and problem solving abilities helped this project move along smoothly. Chuck was always available by phone or email. Every single person Chuck had working at our home was talented, professional and respectful. The end result is a pool (with decking and landscaping that Chuck oversaw also) that has exceeded our very high expectations. We just love it! Chuck is an honest, talented pool contractor and hiring his team at Creative Environments was the best thing we could have done. We enthusiastically recommend Chuck Bauman and Creative Environments. Sean, Thank you so much for the kind words. Your project is one of my favorite projects last year and I love that you and your family have enjoyed it so much…. 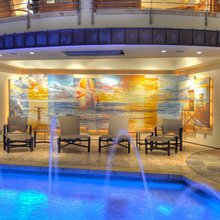 You couldn't ask for a more qualified and trustworthy pool builder than Creative Environments. 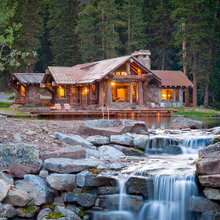 Chuck is one of those fortunate people that truly enjoys what he does for a living and approaches each new project with as much passion and enthusiasm as his first pool build. His eye for even the smallest details proves why he has been so succesful. Lora, It is products like yours that make my swimming pools look so good. What a pleasure is to work with you as well and I look forward to the next project that I get to showcase with a Wet Edge product as our interior finish. It's true what they say about "Birds of a feather…." 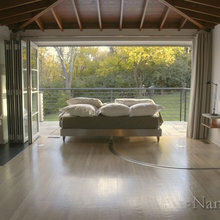 I have seen one of their pools and landscape: exceptional design & quality. They diagnosed the problem with my pool heater after others tried unsucessfully. They repaired it and it was a nice clean job. Chucks integrity and experience has made him a valued partner on every project we have had the pleasure of working with him on. He openly and generously shares his expertise and passion for his craft and is a great communicator. 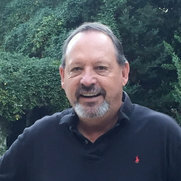 He also brings a sense of artistry and practical knowledge that speaks not only to the water feature but also how it can fit properly in the big picture to enhance the landscaping and blend with the footprint of the surrounding grades and structures. Chuck and his team did a fantastic job on our pool. I highly recommend him for any pool-related project you are considering. We built a new pool, from scratch. Chuck took a personal interest, managed the project carefully, and we have a beautiful pool as a result. His pricing was also fair and reasonable. He stayed within the bid that he gave us, and when we added a few extra things after the fact, he charged us a fair price for the extras. You won't be disappointed if you use Creative Environments. You and your family will have a pool that you love and that looks great. Thank you so much for the very kind words... Creative Environments works overtime to maintain the high level of a positive Customer Experience. Creative Environments is a great company to work with-they are very knowledgeable and provide a great amount of service. The project went in quickly and the results were stunning. Chuck is the epitome of a professional. He is a skilled contractor who knows his stuff. He does his homework and takes the time to understand the project. He works extremely well with others and is respectful of the other contractors on a project. He does what he says he is going to do and is always communicating what is going on and what to expect. He was also very respectful of our neighbors and managed the inconvenience that would be placed on them very well. He kept annoyances to a minimum and communicated openly and honestly when annoying/invasive activities were inevitable. Could not be any happiers with Chuck's work. 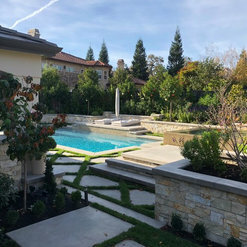 We hired Creative Environments as part of a large home renovation that entailed filling in an old pool and starting from scratch in a totally different location. Chuck was professional, thorough, customer service oriented and friendly from the start. He was patient and had a great design eye. He and his crew were a pleasure to work with and I highly recommend them to anyone who is looking for a spectacular pool. organized work. accurate and beautiful finished product. great communication. excellent customer service. Great follow up and ability to make changes on the fly Have worked together on several projects. Creative Environments answered a question: pricing estimate? beautiful! Commented: what color brickform?It's been a few years since we finished this job... I believe that we used a two color release... it's the one that was on their brochure and was a tan color.... can't remember much more than that.